Rescheduled from January. 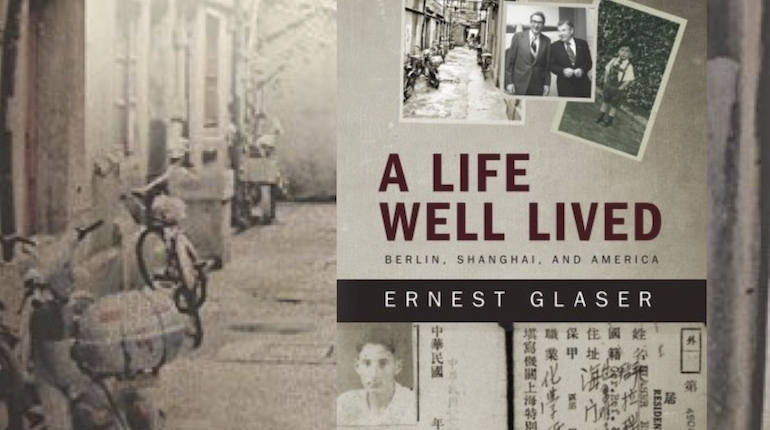 In this uplifting memoir, Ernie Glaser takes the reader from his being a teen-ager making a last minute escape from Nazi Germany to Shanghai (where he lived in a ghetto under Japanese rule) and finally to his “Horatio Alger” story in the United States. Glaser’s personal odyssey is as relevant today as it was in the 1930’s when his family crossed half of the globe-seeking asylum. Sponsors: Cong. B’nai Tikvah Sisterhood & Contra Costa JCC.